Pioneer has announced two new receivers for its 2015 lineup: the VSX-830 5.2 channel receiver and the slightly pricier VSX-1130 7.2 channel receiver. Both units come equipped with Wi-Fi and Bluetooth connectivity as standard; offering access to popular online music services such as Spotify, Pandora and vTuner. The VSX-830 and VSX-1130 also include HDMI 2.0 support for 4K60p 4:4:4 24-bit color pass-through and upscaling, HDCP 2.2 compliancy, DSD file playback, subwoofer EQ, and multi-channel high resolution music playback. 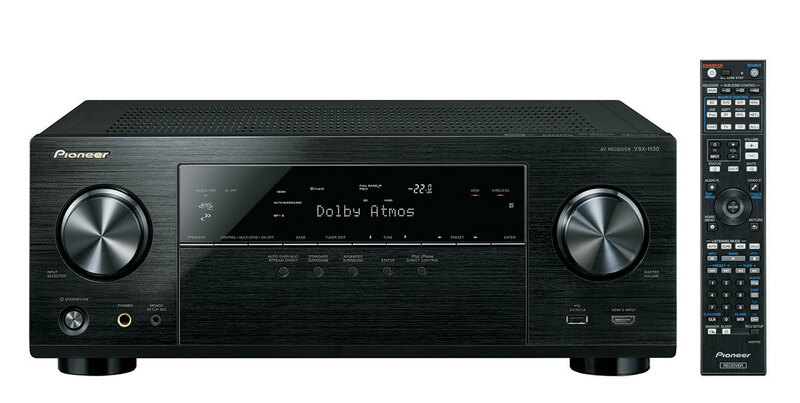 Furthermore, the VSX-1130 also features support for Dolby Atmos 5.1.2 configurations. Both units start shipping out in April 2015. The price for the VSX-830 is $399 / £399; the VSX-1130 is $599 / £599.